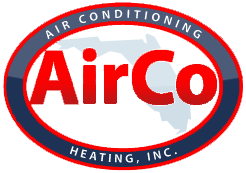 AirCo Air Conditioning & Heating provides reliable air conditioning repair Jupiter. Maintaining dependable operation of the air conditioner is a huge priority for most homeowners in Florida, where temperatures and humidity levels can be brutal. We have been trusted to provide AC repair for more than 15 years because our AirCo technicians are all extensively trained and experienced. You can count on AirCo to restore home comfort with air conditioning repair Jupiter done right the first time. Do you smell something musty or a burning odor coming from your vents? The musty smell could be evidence that mold is growing in your HVAC system or in the ductwork. Mold is a health hazard, and it should be removed. Burning smells that don’t last long could just be the smell of dust particles burning on the coils. A burning smell that doesn’t go away is evidence of a system that is overheating. In this instance, call for air conditioning repair Jupiter without delay, to make sure the problem doesn’t become a fire hazard. You may need repair if you begin hearing unusual sounds coming from your AC. Grinding, thudding, rattling, and screeching noises are all good reasons to contact our AirCo technicians for reliable air conditioning repair Jupiter. If water is leaking from your AC, call AirCo for air conditioning repair. The cause of the problem could be a clogged drain pan. When this type of issue isn’t resolved quickly, electrical parts can become damaged or water damage could occur in your home. The best way to cut the expense of repair costs is by scheduling air conditioning maintenance. Our AC experts at AirCo are needed for air conditioning repair Jupiter on far fewer occasions for customers who keep their ACs well maintained. Benefits of AC maintenance include improved air quality, extended life of your HVAC equipment, improved energy efficiency, and better indoor air quality. Sometimes repair and maintenance can’t do anything more to improve the performance of an HVAC system. This is one of the instances in which air conditioning replacement is needed. Another sign a new AC may be needed is if the system is 10 years old or older. We always encourage our customers to rely on us, a reputable AC company, for air conditioning installation. There are too many possible missteps during installation that can affect the efficiency of the entire system. Our technicians get installation right, which even affects the life of your HVAC unit. 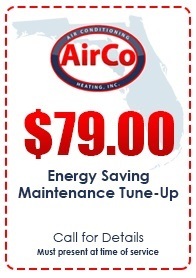 When you need air conditioning repair Jupiter, call AirCo at 561-694-1566. Our technicians are true professionals who are qualified to make needed repairs with best results.